The Texas-based instrumental quartet Explosions in the Sky prove you don't need lyrics to tell a musical story. I was trekking across the sunbaked grounds of the 2009 Sasquatch! Music Festival, looking for a friend I'd lost in the crowd, when I was distracted by a big, spacey sound emanating from one of the smaller stages — lots of delicate guitar jangling, a little bass and the raw power of pounding drums, but no singing. Even so, it certainly wasn't background music. Until then, I had never knowingly listened to Explosions in the Sky; I had probably heard the band's music in some movie or TV show. I was mesmerized. Individual instrumental phrases stuck out like good vocal melodies and proved equally as memorable; one cascading, reverb-soaked guitar melody in particular echoed in my mind well after the music festival was over. (I rediscovered that melody buried among the mini-symphonies that make up the band's 2003 opus, The Earth Is Not a Cold Dead Place, in a song called "First Breath After Coma.") The song was in constant flux, growing more majestic and expansive by the note, finally crescendoing in a guitar freak-out that sounded like, well, explosions in the sky. And so I was introduced to the quartet from Texas and their brand of post-rock that doesn't need lyrics to paint pictures, tell stories or tug heartstrings. As with most good music, Explosions in the Sky's richly textured, constantly moving soundscapes are ambiguous enough for each listener to attach their own, deeply personal images and emotions. Most everyone seems to find a sort of cathartic power buried there, however, and their live shows have gained a reputation as deeply moving, quasi-spiritual events where some people absolutely lose it. 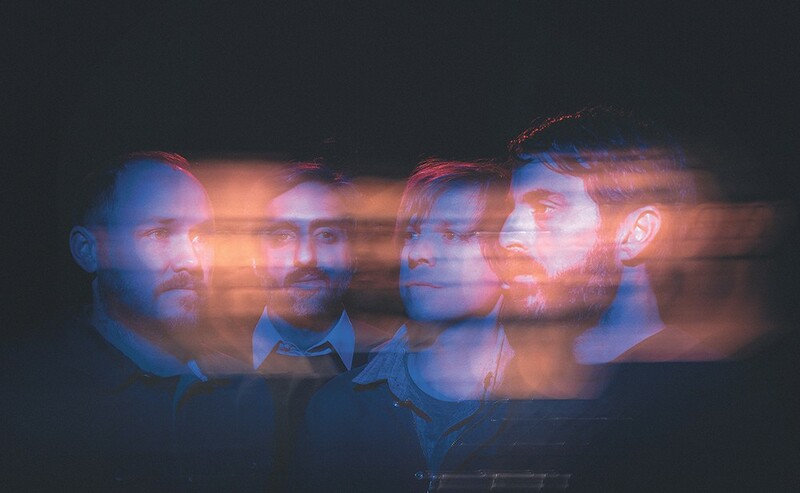 On the back end of a worldwide tour in support of their latest record, 2016's The Wilderness, Explosions in the Sky is set to bring their impactful live show to the Knitting Factory on Saturday night. The band's cinematic sound is no coincidence. They've written, performed and produced four movie soundtracks — most notably the 2004 high school football drama Friday Night Lights — and their songs have been featured in all sorts of commercial settings. "We're lucky in that regard, that many people can see it with different visuals, which allows for it to play into these films, television programs or video games," said guitarist Munaf Rayani during the band's performance on Seattle's KEXP-FM last year. "[It] helps get our name out that much further — or that melody out. I feel like many people who don't know us by name know us by sound." Unsurprisingly, The Wilderness is more of the same, albeit softer and more meditative than the band's previous records, dreamily floating along with the clouds rather than pushing through the stratosphere like a rocket shooting for space. With a purely instrumental approach and seven remarkably similar-sounding albums, they remain the only quiet-then-loud post-rock band of their era left standing. As a consequence of such a long run, Explosions in the Sky has provided something of a personal soundtrack to mark the passing years for many fans — myself included. There was a yearlong stretch where I wrote exclusively while listening to Take Care, Take Care, Take Care (2011), and more than one road trip has been soundtracked by those familiar jangly guitars and pounding drums.